This course will explain how to secure a modern, microservice-based system. You’ll start by running and hacking into a vulnerable system before switching roles and using various Docker tools and features to protect the system. 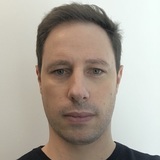 While the tutorial focuses on Docker, the techniques demonstrated are generally applicable to any production container system.